I am happy to say that Springer Beijing will publish my book on Stalin later this year. I didn’t realise this until today, but Springer has the largest presence in China of any international press by a long way, publishing works by Chinese authors or Chinese-based authors. 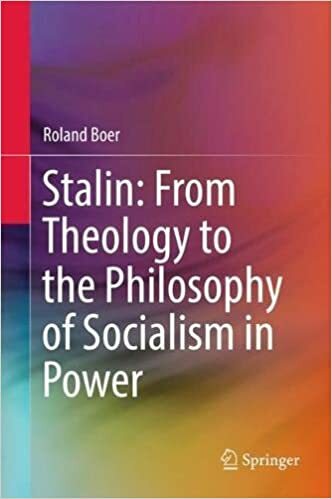 The book is called Stalin: From Theology to the Philosophy of Socialism in Power. This book has taken me longer than most. The subject matter has much to do with it, given the preconceptions, if not the knee-jerk reactions, that are produced by the cipher of ‘Stalin’. Some years ago, I managed to acquire a set of Stalin’s works, from none other than a second-hand bookshop in Kansas. Kansas! Yes, for it used to be – many, many years ago – a left-wing, if not Marxist centre in North America. How times have changed. But I soon found that the ‘Works’ were incomplete, ending abruptly in January of 1934. 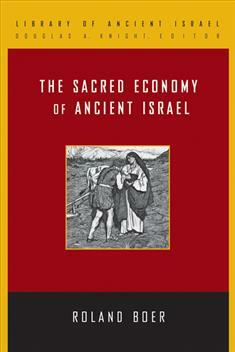 Eventually, I tracked down the remaining volumes, published by Red Star Press in London. To add to my collection, I became aware in the process of a new edition of Stalin’s works, Trudy, which is in the process of publishing what may well be a full collected works by Stalin. I set to reading Stalin, slowly and painstakingly, as I had done earlier with Marx, Engels, leading western European Marxists, and then Lenin. For some reason, Stalin took me longer, even though he wrote a little less than the others. My earlier hunch that Stalin may actually have something to offer the Marxist tradition was slowly being confirmed, but what that contribution might be took a lot more effort. It required working through the texts many times, seeking to discern the key ideas in light of the frameworks that I was developing. Why? Few had actually worked in such a way, with many simply dismissing Stalin and thereby not even giving him the benefit of serious attention. My starting point with a theological radar meant that I was even more alone. More to the point, I began to realise that many of my assumed categories were being broken down, forcing me to begin thinking again, rethinking everything in the process. This was, after all, socialism in power, however one may interpret the term. I also realised that socialism in power continues to be chronically under-thought, with many ‘Western’ Marxists simply refusing to countenance the possibility that anything could be learnt from socialism in power – which by 2017 offered a century of immense experiences, stunning achievements, abysmal failures, but above all, an immense resource for reflecting on socialism after the revolutionary seizure of power. Precisely this reality attracts me so much, especially now with my immersion in Chinese socialism. Stalin is one – although not the only one – of the theorists of socialism in power, whether people like it or not. As I point out at various moments in the book, it was written largely in the context of China, my second home. I am often here for extended periods of time, especially in Beijing. Initially, I was not so enamoured with the place – too large, too hectic, too much change all the time. But after a few years, I realised why I like the place so much, with all its flaws. It is the centre of the strongest socialist state in world history, eclipsing now the Soviet Union. In the middle of Tiananmen square, the gate of heaven no less, lies the body of Chairman Mao. Here is socialist power, with a Communist Party in control. It is like a magnet to me and I am working to understand what it means. This study of Stalin is a first step in the process. In a little more detail: half of my time is now devoted to living and researching in the People’s Republic, which has had a significant influence on the shape of the book. In an unexpected conjunction, the topics that arose through carefully reading and reflecting on Stalin’s texts turned out to be topics that are very relevant for understanding Marxism in China. The intersection initially seemed fortuitous, but it eventually became clear that the common ground is socialism in power. More specifically, the creative influence of Stalin and the Soviet Union rose to a peak in the Yan’an period of the 1930s and into the 1940s. After the failure of earlier revolutionary efforts, and the trials and triumphs of the Long March, the Chinese communists had an opportunity to study, reflect, discuss and write. Apart from works by Marx and Engels, they had recourse to the developed positions coming from the Soviet Union. Translations brought them the works of Lenin and Stalin, as well as a number of key Soviet philosophers from Stalin’s era. It was this context that framed the significant materials delivered in lectures and written in Yan’an, although the Chinese communists also clearly developed their own positions in debate with Soviet thought. Indeed, some of Mao’s most important theoretical works come from this time, continuing to influence the frameworks of Chinese Marxism today. In my study of these works, it has become clear that many of the categories first broached by Stalin are taken and reworked in the writings of Mao and others. Thus, Stalin – so often excised from the history of Marxism, let alone Marxist philosophy – is the crucial link from Marx, Engels and Lenin to Mao and modern China. The book is predicated on the fact that Stalin was actually able to think. It may be surprising, but he is not often credited with this ability, let alone the ability to think dialectically. Was he not the one who was a novice at theory, mocked by his comrades for his faltering efforts? Many are those who have reiterated this curious dismissal, perhaps adding the hypothesis that Stalin was either deluded and out of touch with reality or cynically in touch with reality, spinning words to justify yet another deviation. By contrast, for all its many flaws, Kotkin’s biography notes Stalin’s ‘vigorous intellect’. And as Van Ree points out, the ‘evidence is overwhelming’ that ‘Stalin took his own publicly avowed doctrines seriously’. I must admit that I have come to agree with Kotkin and Van Ree on these points, overturning many of my preconceptions through patient and careful attention to Stalin’s works. I have also come to the position that Stalin must be studied carefully as part of the Marxist tradition. No matter what one’s assessment of Stalin may be, it is an act of intellectual laziness to deny him, for whatever reason, a place in the tradition. Stalin’s library was overwhelmingly Marxist and he made extensive notes in the works of Marx, Engels and Lenin. Even more, all of the key ideas developed by Lenin and Stalin can be found in earlier moments of the Marxist tradition. After all, a political tradition like Marxism is constantly developing, revising positions and developing new ones in light of changing circumstances. As Copleston observed some years ago, ‘The point to notice is that Stalin was very well aware that the revolution in Russia had given rise to tasks which required fresh ideas, a development of Marxism to suit the new situation’. Great news on the publication. Good luck with the book, Roland. Very much looking forward to this being published (I’m assuming that despite Springer Beijing publishing it, that it will also be available in English; or am I mistaken?). I’ve just started reading some Stalin. Namely his early essay, Marxism and the National Question. I don’t have a good grasp on what he may or may not bring to the table. 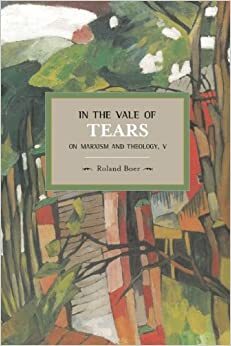 So, for myself, starting with a volume that takes him seriously may be quite beneficial for my own intellectual journey. Have you read Kenneth Neil Cameron’s “Stalin: Man of Contradictions”? An excellent late 80s text from the CPUSA-aligned* Shelley scholar that takes Stalin as a thinker and actor seriously, critically (and overall positively). Published by a press in Toronto. * Don’t hold that against him. Thanks! Of all the many works I read as I was writing the book, I hadn’t come across this one. Have it now.